The so-called superfoods you’ve been hearing about aren’t only there for filling your plate or blender—they’re also there to help you take better care of your skin. The idea of using food for topical skincare may seem strange, but the benefits you get are well worth trying out. If interested, here are a few food ingredients your skin should have on a daily basis. Anyone interested in getting a good dose of antioxidants has likely tried sipping green tea, even adding some Manuka honey to bring a sweetness to an already pretty great drink. However, green tea can also perform great feats for your skin. It’s been said that green tea can help fight premature aging while protecting the skin from free radical damage. With soothing, anti-inflammatory benefits, green tea is also ideal for redness-prone, sensitive skin types. Tannins within green tea also provide excellent assistance for preventing dark circles under your eyes, so you should search for it as an ingredient in eye cream. Whether pureed in a soup or roasted, pumpkin has few calories but is chop-full of vitamins as well as minerals. And, it turns out, the beta-carotene that gives pumpkin its bright color is perfect for skincare, given it has antioxidants that boost collagen and rejuvenate skin. Also, being a natural exfoliant, pumpkin contains alpha hydroxyl acids and fruit enzymes, which is great for complexion, given it encourages cell turnover to produce a smoother texture and brighter tone in your skin. Pumpkin is even better when paired with Manuka honey, pampering your skin while also gently removing dead skin cells and revealing the radiant complexion beneath. While they might be small in stature, chia seeds can have a tremendous effect when either consumed or added to a skincare formula. Chia seeds have high amounts of omega-3 fatty acids, which can replenish moisture and give your complexion a plump, healthy look. They also contain zinc and vitamin B3, which can help keep the skin cleared up and keep an oily complexion under control. While the monounsaturated fats in olive oil make it a great, guilt-free choice for salad dressings, our skin apparently can benefit from olive oil as well. It’s an outstanding skin moisturizer, but you may not know that it’s due to the vitamins within it, specifically K, E, D, and A. These nutrients will also restore your dry skin’s suppleness before you even know it. Squalene, one of the natural compounds within olive oil, also stimulates your skin’s natural creation of collagen and elastin, further promoting younger-looking skin. 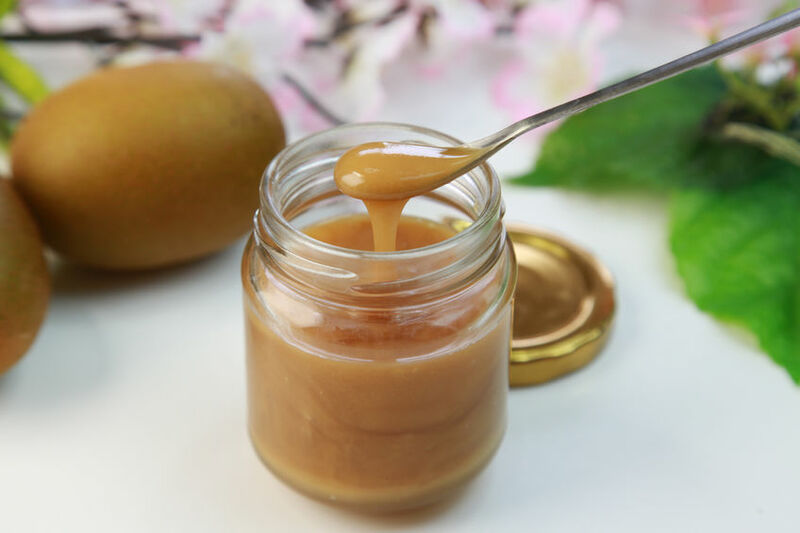 Need to order some Manuka honey to give this a try? Click here to get your order started and remember, we offer FREE shipping on all orders of $150 or more.